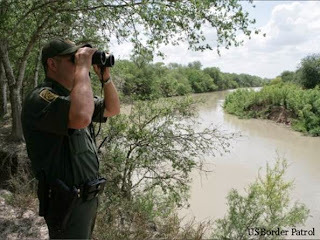 HOUSTON, Texas--The massive influx of adults and minors crossing into the U.S. from Mexico, Guatemala, Honduras, and El Salvador has brought the Customs and Border Protection agency (CPB) past its capacity to provide security at the U.S./Mexico border, according to the National Border Patrol Council (NBPC). In an interview with Breitbart Texas, NBPC Vice President Shawn Moran revealed that the Mexican cartels control the flow of illegal immigrants across Mexico through the monopoly on coyotes, otherwise known as human smugglers. “Mexican cartels are exploiting this crisis to get their shipments through. They know our schedules, our shifts, our manpower, and how we react to these situations,” said Vice President Moran. “The cartels control the flow of people from south of our border. The coyotes are mostly at the employ of the cartels. They rent the smuggling routes that are protected by the cartel enterprises. We are being completely reactive and chasing the cartel activity. "Today they are using the RGV sector [Rio Grande Valley], but they could begin using another sector instead at any moment.” Moran was referring to the mass re-assignment of Border Patrol agents to Texas from western states like Arizona.